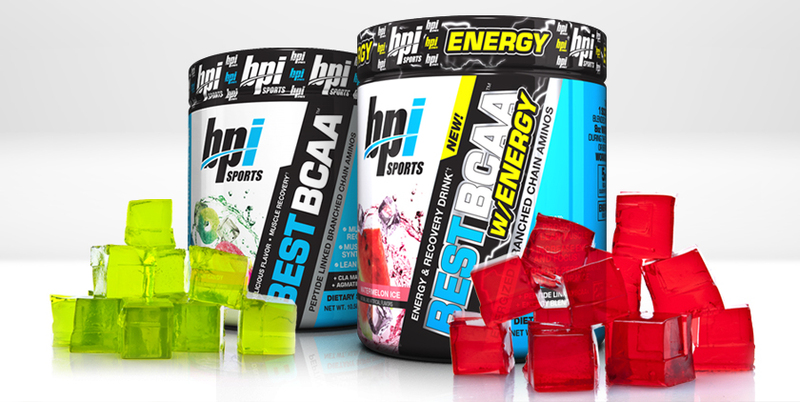 Home Blog Best BCAA™ w/ Energy Gummies! Best BCAA™ w/ Energy Gummies! Did you know that June is National Candy Month? To celebrate, we’re bringing back our popular BCAA gummies recipe, but this time, we’re using our new Best BCAA™ w/ Energy formula. Best BCAA™ w/ Energy starts with the same branched-chain amino acid base as our award-winning Best BCAA™ supplement, but we’ve added a kick of energy and other performance-enhancing ingredients to help you amp up your workout. Take one scoop any time you need a quick pick-me-up, or use it as your pre-workout. It’s the perfect substitute for sugar-loaded energy drinks. Speaking of sugar, these BCAA gummies are a great way to satisfy your sweet tooth without sabotaging your goals. In a large bowl, place the gelatin powder and 1 scoop of Best BCAA™ w/ Energy. Add 1 cup of boiling water and whisk together until powder has dissolved. Pour in 1 cup of cold water and stir. Pour the mixture into the ice cube or gummy mold. Place in the refrigerator and let set for at least four hours.